In hospitality units, there is a two pet maximum, 35 lbs. or smaller. A one-time non-refundable pet cleaning fee of $50.00 will apply. An additional refundable $100 damage deposit is collected. Pets must be kept on a maximum 10 foot leash at all times and under the control of their owner; or must be left inside guest accommodation. Pets may not be left outside unattended. Guests are responsible to "clean up" after their pet. All pet droppings must be properly disposed of in a trash receptacle. Pets are prohibited in Resort buildings and amenity areas. For the protection of, and in consideration of our guests, noisy, vicious or unruly pets are not allowed. Guests who are unable to control their pets must remove them from the premises, or the animal may be taken by local animal control authorities. Additionally, exotic pets are strictly prohibited. Please be advised that guests should carry proof of pet’s current vaccinations. Shelter Cove Resort & Marina is located in the heart of the Deschutes National Forest and Willamette National Forest. It is one of Oregon's most prized destinations, boosting a serene landscape that welcomes all types of outdoor enthusiasts. Sitting 6,000 feet above sea level, our luxury cabins are nestled amongst Douglas Fir and Spurs trees, over looking Odell Lake. Each of the classic wood cabins varies in size and shape and is furnished with well appointed finishes. 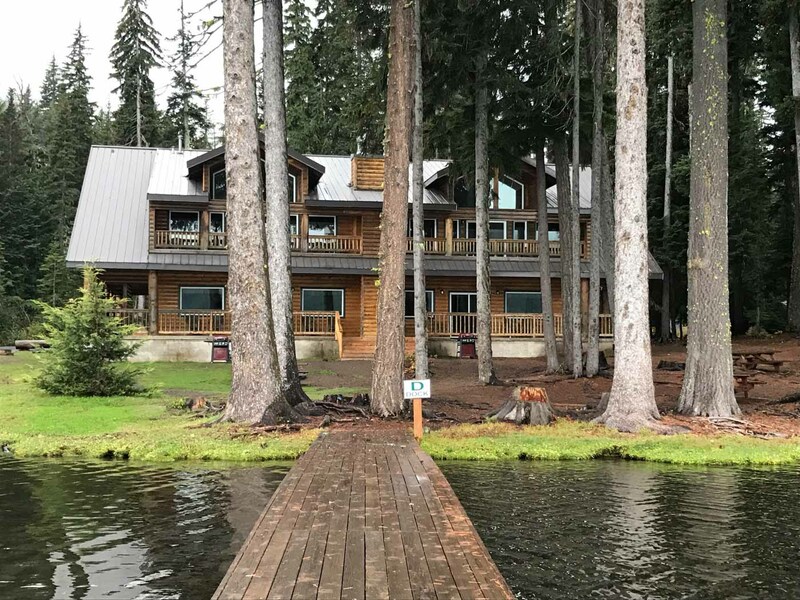 So whether you are seeking a romantic “couple’s weekend”, or a refreshing family get-away, the cabins at Shelter Cove Resort & Marina will certainly accommodate all of your needs and desires. And there are many opportunities here for you to explore! Odell Lake is simply beautiful and is appreciated for its fishing and boating qualities. You can explore the surrounding scenery by taking a hike on one of the many trails and find your way to breathtaking waterfalls! Or come in the winter and enjoy the snow-skiing during the day, and the rewarding comforts of a fire at night. Here at Shelter Cove Resort & Marina, the goal is to provide a pristine environment that inspires guests to create long lasting memories. Lovely furnished cabins, a total of 10 that comfortably accommodates up to 2-10 guests. There are 1, 2 and 3 bedroom units with bathroom and full kitchen inside, some have a loft room. All cabins have a heater or a fireplace for heating and come equipped with bedding and towels.